It’s time to pack up those boots and sweaters and break out the sandals and sundresses because spring is finally here! 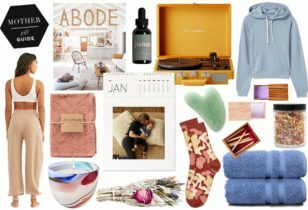 We’ve rounded up this season’s wants and needs, and dish about each of them below. What’s on your spring wish list? “I pre-ordered Joan Didion’s latest book South And West and it finally arrived a couple of weeks ago. I dove right in and, as I predicted, I’m really enjoying it. Joan’s writing style is one to be admired, and this new journal-esque collection of stories from a 1970 road trip with her husband through the south is a great read. Highly recommended.” South And West, $11.30, Amazon. “These Vitamin C packets have been a life-saver during cold and flu season. Not only have they kept the bugs at bay, but when I do get sick, they get me through the recovery period so much faster. I’m a believer and take them twice a day!” Lypo-Spheric Vitamin C, $29.95, Amazon. “It’s no secret that I’m a big fan of the much-loved Kamm Pants by L.A. designer Jesse Kamm—I own nearly every color! I am thrilled that she launched a new slim-legged version for spring with the same flattering fit and an updated cigarette-pant silhouette. I will be wearing them all season long.” Jesse Kamm Ranger Pants, $395, Two Son. “Now that we have a new dining room setup, I think it’s time to replace our old black Tripp Trapp chairs for a set with lighter wood.” Tripp Trapp High Chair, $249, Stokke. “I was sent a sample of the highly-acclaimed Creme De La Mer last month and, of course, I was giddy with excitement to try it out and to see what all the hype is about. I’ve gotta say, after using regularly for a little over three weeks, I’m officially drinking the La Mer Kool-aid. It feels so luxurious on the skin, and I wake up looking fresh and hydrated. Now, only if I could afford to use it always.” Creme De La Mer, $85, Sephora. “I am always in need of new bras and undies. I don’t know why, but they always seem to disappear—like socks that are always missing their match. Madewell recently launched a new line of intimates and I am obsessed with them. Not only are they pretty, they have an extremely comfortable fit and a great price tag, too!” Madewell Intimates, starting at $12.50, Madewell. “My pal Wendy recently sent me the new candles from her Le Feu De L’Eau + Edible Garden LA collaboration. They’re all amazing, but the African Basil Candle is one of the best things you’ll ever smell, I swear!” African Basil Candle, $60, Le Feu De L’Eau. “I’m totally into mixing silver and gold jewelry for spring. These silver studs are a must!” Half Circle Mega Studs, $74, Giant Lion. “After decades of sleeping in t-shirts and boxer shorts, I have finally learned to appreciate the importance of a good set of pajamas. They just make me feel good. 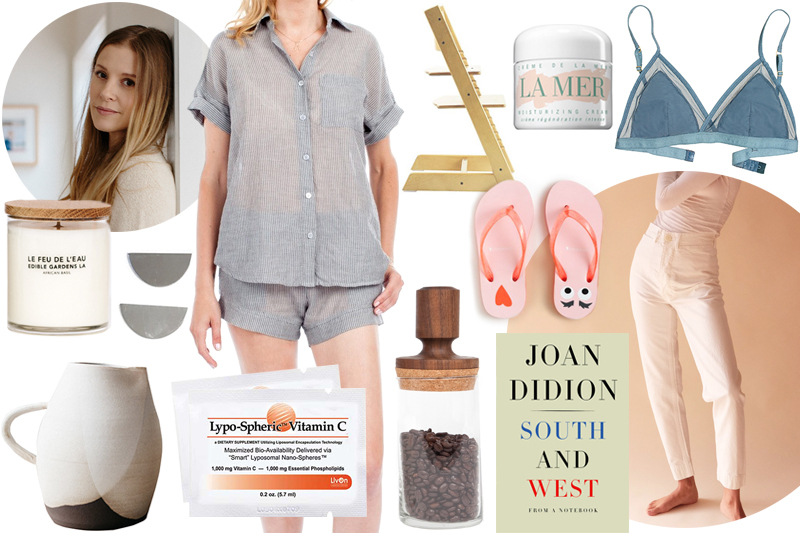 Plus, I love that I can throw on a pair of jeans and wear the top out, if I want.” Portofino Pajama Top, $128, Maison Du Soir. “Now that the weather’s warming up, it’s time to stock up on new shoes for the kids, since they grow like weeds and have outgrown last summer’s sandals. I’m ordering these cute Monster flip-flops for both Birdie and Sailor, stat!” Max the Monster Flip-Flops, $16.50, Crewcuts. “We recently profiled Serena Mitnik-Miller and, holy sheet (! )—her home is incredible, not to mention all of the treasures it holds! She gave me a serious itch to up my kitchen-shelf-game, as so my hunt to find unique and beautiful shelfie-worthy pieces is in progress. I picked up this cool glass jar with a wooden top and cork seal to house our coffee beans, so I can say goodbye to the ugly branded bean bag that always sits on our countertop.” Fort Standard Dry Goods Vessel, $88, General Store. “To go along with the above, I have a major crush on the handmade creations by Portland, Oregon-based Notary Ceramics. This pitcher would look mighty-fine up on display.” Trefoil Pitcher, $115, Notary Ceramics. 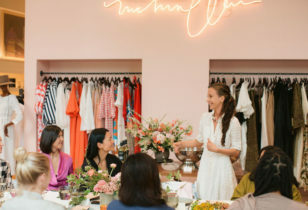 “I have a total mom crush on Maya Jankelowitz, the co-owner of the every-fashionable Jack’s Wife Freda restaurant in New York. 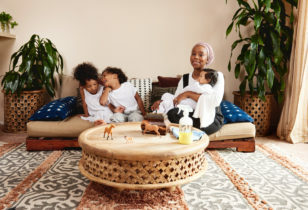 She’s one of my secret style icons, I’m inspired by her businesses, and also so touched by how tender she is with her adorable boys, Noam and Bennie. 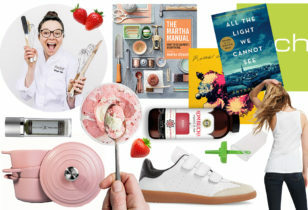 We profiled her on the site a couple of years ago (check it out here), and I’m obsessed with the new cookbook that she and her husband, Dean, have put out. It’s filled with a bunch of classic recipes from their restaurants, as well as some extras. It’s basically everything I ever want to eat!” Jack’s Wife Freda: Cooking From New York’s West Village by Maya and Dean Jankelowitz, $15.59, Amazon. “I love everything about these sneakers, especially the petal-pink hue. They’d be great for everything from preschool drop-off/pick-up and all of the meetings in between.” Veja Esplar Low Petale, $120, The Podolls. “Staycations are a great way to get away from your kid for a night and play tourist in your own town. We recently did one at the Well + Away suite at Hotel Zetta in downtown S.F. 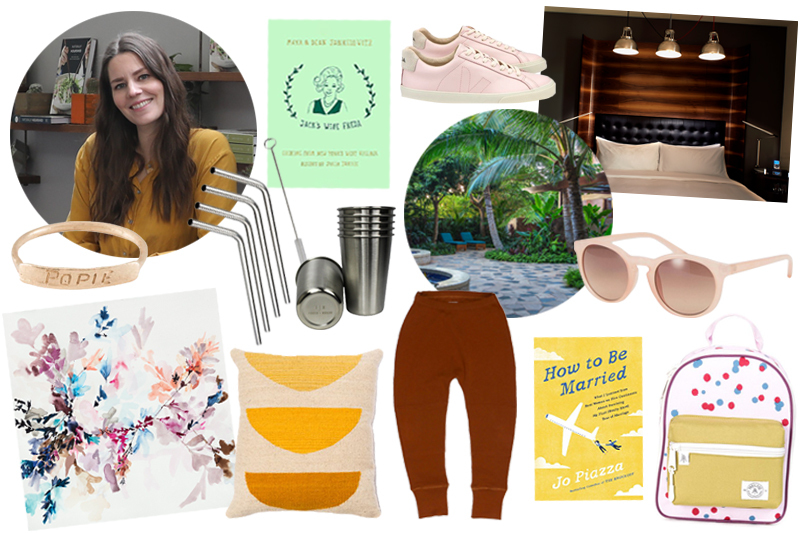 Instead of a mini-bar stocked with sugary and salty snacks, Margaux Lushing of Well + Away has thoughtfully filled the ‘VitalBar’ with treats from Aloha, Moon Juice, Navitas, and others. Even the ‘Naughty Drawer’ has special touches.” Well + Away x Hotel Zetta, starts at $199 a night, Hotel Zetta. “We were also able to get away as a family earlier this month to the Aulani, a Disney Resort and Spa, in Oahu, Hawaii. It’s essentially a great Hawaiian resort with touches of Disney tucked into it, which is ideal if you have kids who love Moana, Lilo & Sitch, and Mickey Mouse and the gang. I am still having flashbacks to my time spent at Laniwai, which is the resort’s incredible spa. If you’re thinking of going during the month of May, they are running a special with perks just for mamas, in celebration of Mother’s Day.” Aulani Disney Resort and Spa, rooms start at $554, Aulani. Mahalo Mama Month specials listed here. “I just discovered this backpack brand and love the fun print on this lunch bag option.” Parkland Rodeo Lunch Kit Case, $24.99, Parkland. “With the rainy days (hopefully, mostly) over, a new pair of sunnies is in line. These would match my aforementioned sneakers!” Warehouse Matte Retro Sunglasses, $25, Asos. “This summer will mark 10 years since I met my husband—at the MoMA in New York, while party reporting for Style.com, no less! We’ve been married the past 8 years, but I am still far from an expert on relationships, which is why the new book How To Be Married has me riveted. The author, a former travel editor, journeys to five different continents to gather tried-and-true tips about what makes unions strong. It’s fun and essential reading for anyone getting married, thinking about getting married, or really anyone in a relationship of any sort.” How to Be Married by Jo Piazza, $26, Amazon. “My son Diego is about to turn 4-years-old, and I think he’s only worn jeans once or twice. I love to dress him in comfy, stretchy pants, and these leggings by Soor Ploom are extra brilliant, thanks to the reinforced knees! Something I’ve been looking for for a long time!” Soor Ploom Rugged Legging in Clove, $36, Soor Ploom. “I’m so hyped that textile designer and new mama Dana Haim relocated from NYC to S.F. I borrowed some beautiful tablecloths from her for an event I recently threw, and I am so inspired by all of the pieces in her collection.” Tres Luna Pillow, $300, Dana Haim. “This print might look familiar from the Hatch profile we ran on Jen Garrido and Jacqui Saldana. I’ve now seen it in person and I’m obsessed.” Limited-Edition Print of Mountain Meadow Study, $350, Jen Garrido. “I first saw this ring on Alicia Lund of Cheetah is the New Black, and I’m jonesing for one with Diego’s name, plus a spec of a diamond next to it. On my Mother’s Day want list!” JPJ Name Ring, $315, Jane Pope Jewelry. “Ever since profiling Ashley Koch of Vibrantly Healthy Kids and digging into the recipes on her blog, we’ve become smoothie-fanatics at my house. When I first met Ashley, she served me a chocolate version in a stainless steel cup/straw situation, and I’m totally going to copy.” Stainless Steel Pint Cups, Set of 6, $24.95, Amazon; Chuzy Chef Stainless Steel Straws (Set of 4), $5.49, Amazon.